As Delta workers in Atlanta make their way to and from work, they'll get another reminder that they have the commitment of the world’s largest and strongest airline union, the IAM. 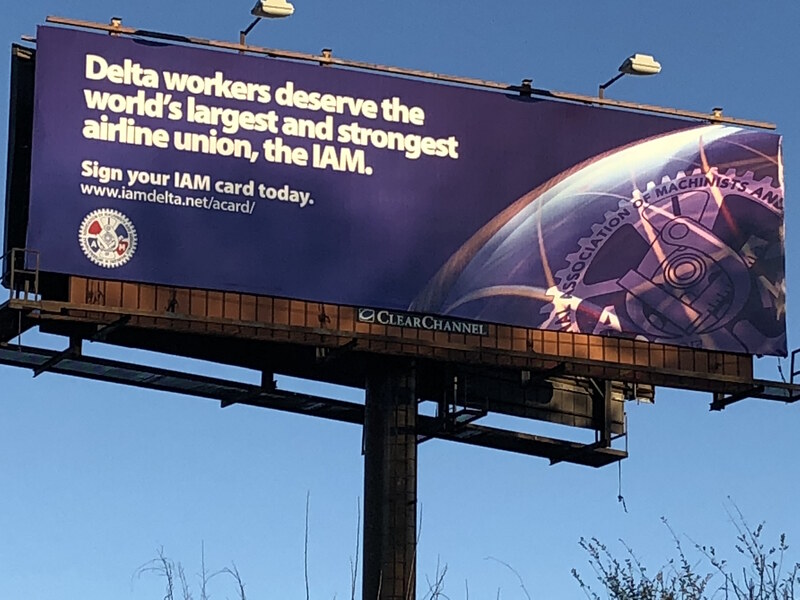 The IAM last week put up a billboard near the Camp Creek Parkway and I-85 southbound exit, reaffirming their support for all Delta workers across the country to gain union representation by signing an IAM election authorization card. The IAM was formed in Atlanta, GA, in 1888, after 19 machinists met in a locomotive pit and voted to form a trade union that would prevent wage cuts and ensure against job cuts.